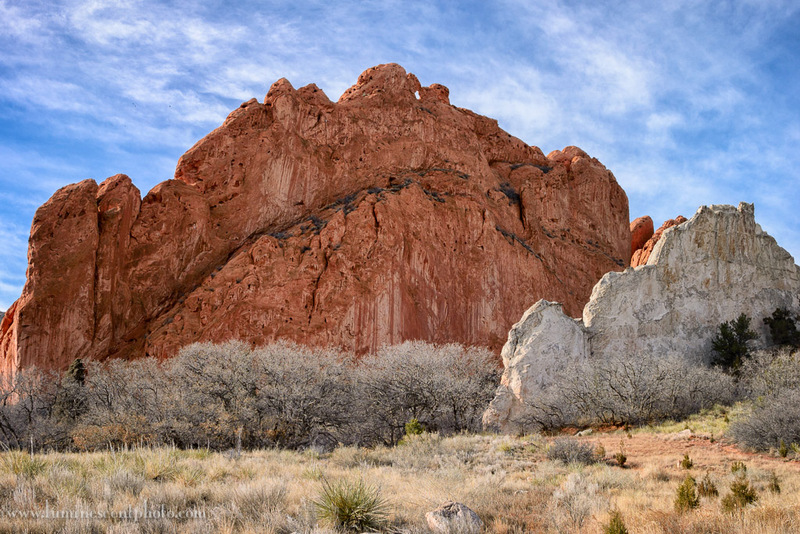 I took my new Nikon 1 V2 mirrorless camera out to Garden of the Gods park in Colorado Springs. I wanted to see how the camera performed in the field in good light and with the new 18.5mm f/1.8 1-Nikkor lens. This shot is of the famous “Kissing Camels” formation. I used the 18.5mm lens and had the camera on my Gitzo traveler tripod. I really liked the ability to quickly adjust settings on the V2 camera in the field using the new options for the Feature (F) button. For example, if I wanted to lock focus (as you would for HDR images), it’s quite easy to put the camera into Manual Focus (MF) mode right from the main display. I processed the NEF image in Lightroom 4.3, which was just updated to support the Nikon 1 V2 NEF files. However, lens correction support has not yet been added for the 18.5mm 1-Nikkor lens. That’s ok, because this lens doesn’t really have a lot of distortion. I then used Nik Software’s Color Efex Pro 4 for the final enhancements, including Pro Contrast and Detail Extractor. I played around with the V2 NEF files and I find that these settings work well for low-ISO images with the Nikon 1 V2. All other settings can be set as required based on image content. The complete guide to Color Efex Pro 4! All 55 filter effects explained with examples and custom settings.